Assali Stefen is a family owned company which is specialized for more than 25 years in the production of steeraxles. During the last 2 decades, Assali Stefen has produced steeraxles for almost every leading European axle manufacturer (such as BPW, SAF, Mercedes, SMB, ROR, ...). The current activities from Assali Stefen are divided into two different divisions: The first division, the "steeraxle" division, produces steeraxles for as well its own needs as for other axle manufacturers, such as Mercedes (trailer) and Schmitz. 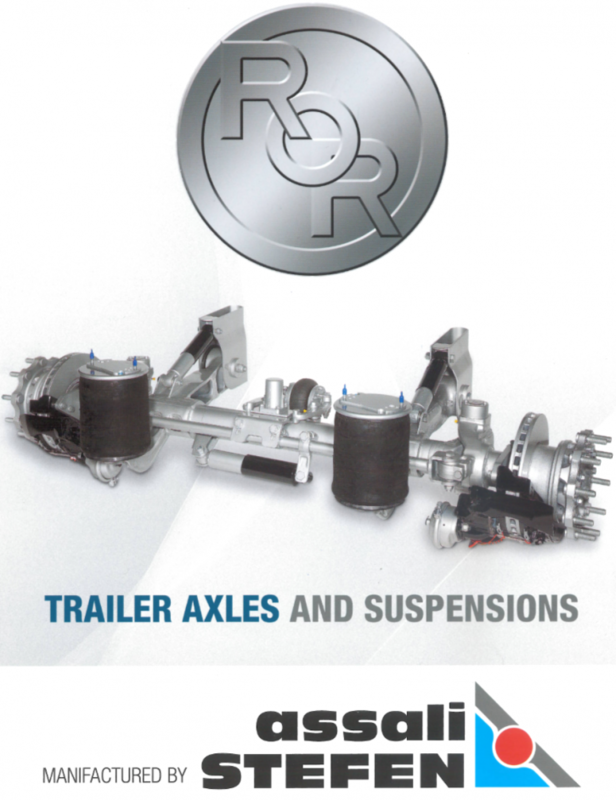 The second devision produces all types of rigid ROR axles and ROR suspensions. This second division of Assali Stefen was founded in 2011, after Meritor had decided to withdraw itself from the European traileraxle industry. At that time Assali Stefen not only took over the production of all the ROR axles, but also all the future developments of the ROR axles and suspensions. Through the acquisition of all these activities, Assali Stefen has become 'THE" manufacturer of the ROR axles and suspensions.